Albuquerque, NM – Yesterday, Flagship Food Group CEO, Rob Holland, and New Mexico Governor, Susana Martinez, announced that Flagship will further expand its manufacturing and distribution facilities in the Albuquerque area, creating a state-of-the-art, 76,000 square-foot frozen distribution warehouse that will serve its customers from coast to coast from a single point of distribution. The new distribution facility will also feature a research and development center, offices, and a small interactive “museum” that pays tribute to New Mexico’s rich food culture. Flagship’s popular 505 Southwestern® brand (“505” signifies Albuquerque’s area code) is produced in New Mexico and certified as a “New Mexico True” product. 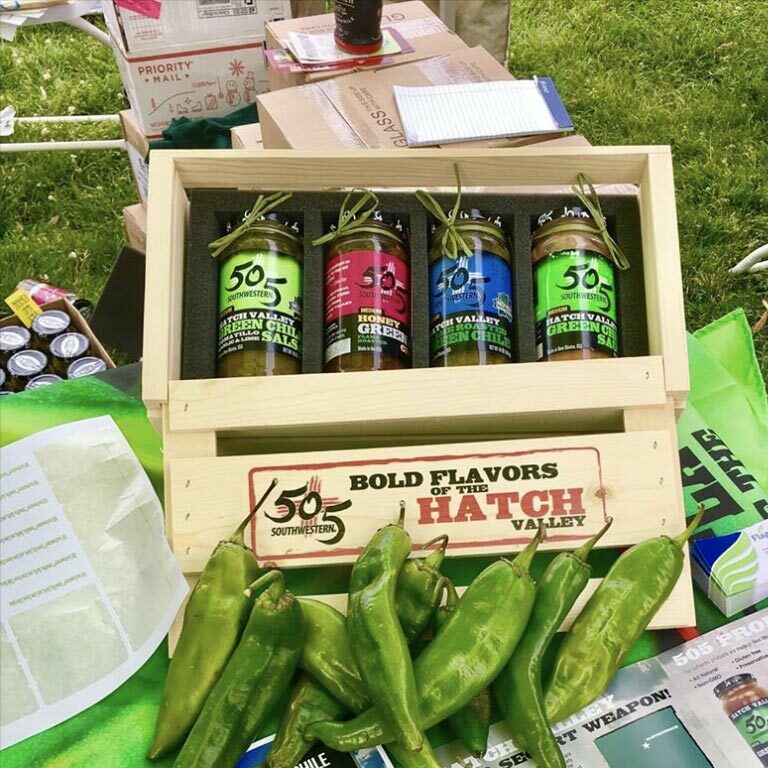 Nearly $100 million of 505 Southwestern®-branded products are sold from London to Los Angeles, spreading the awareness of New Mexico flavors and cuisine in 125,000 points of distribution throughout the world. The State of New Mexico has continued to show support for Flagship and its investment in the State. The facility represents a collaboration between Flagship’s diverse leadership team. Carlos Angulo, the Company’s Chief Operating Officer, led the project with support from the president of the Flagship Logistics division, Pat O’Keefe, and other company executives. The warehouse will operate with a state-of-the-art inventory tracking system currently utilized in Flagship’s other warehouse facility. “As our Southwestern food portfolio has doubled in size in only a few short years, we needed a facility that would warehouse our products and support our customers across the country with extreme efficiency and reliability. Working with our amazing team of operators and professionals, we’ve taken the project from concept to a fully-operational facility in less than one year,” said Carlos Angulo. Flagship Food Group is a global, diversified food company serving the retail, club store, and food service channels across a broad array of product lines. Its brands include TJ Farms®, Lilly B’s® , 505 Southwestern® , Chris & Pitts® , and Su Ming® . It also serves as a valuable supplier to private label customers and provides industry services to food companies through its logistics and packaging divisions. Flagship is headquartered in Greenwood Village, Colorado, and its more than 500 employees serve the company in its key facilities and offices in or near Denver, Los Angeles, Albuquerque, Boise, Indianapolis, and Minnesota.